14 people have been killed and 87 injured as two powerful explosions hit Makhachkala, the capital city of Russia’s southern republic of Dagestan, security services report. The combined force of the blasts could be equal to up to 150 kg of TNT. 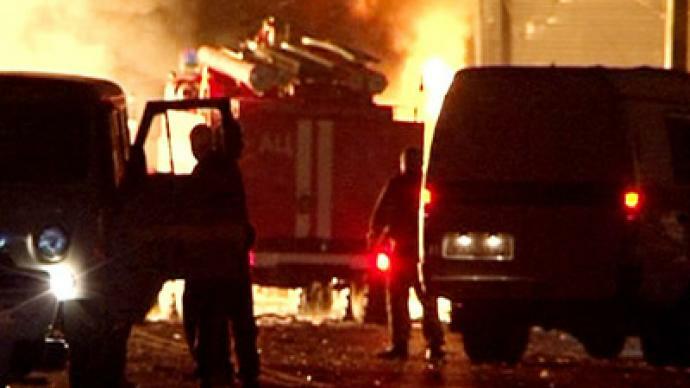 The first bomb was detonated by a suicide car bomber not far from a police checkpoint on the outskirts of Makhachkala, when the car was stopped for a regular check. The second bomb, which caused most of the casualties, struck when rescuers arrived at the scene 20 minutes later. The blast caused a fire but it was soon extinguished. The combined force of the blasts was the equivalent of up to 150 kg of TNT, according to the republic’s interior minister, with 50 and up to 100 kg of TNT respectively. The minister then confirmed how many people were killed and injured. Fourteen people, including seven police officers, three emergency service workers and one civilian, were killed. Eighty-seven people have been injured. Among those taken to hospital, 47 people are in a critical condition and two are extremely critical. A law enforcement officer said to the media that male and female body fragments have been found at the scene. “Apart from those killed by the twin car blasts, male and female body fragments have been found at the scene, which can mean they might belong to suicide terrorists,” he said. The identification of the body fragments is underway. 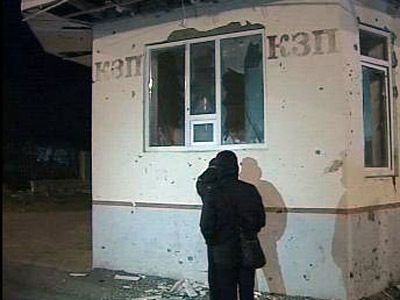 Dagestan's Interior Ministry says Makhachkala gang militants are responsible for the attack. On Friday police put local gang-leader Guseyn Mamaev and three members of his group on their wanted list. The suspects had allegedly been recruiting young men for suicide bombings. Earlier, police identified the owner of the car which was blown up first. Now they are tracing how the vehicle got into the hands of the criminals. Police have launched a criminal investigation. Acts of terrorism carry a maximum punishment of life imprisonment. International terrorist cells behind the attack? 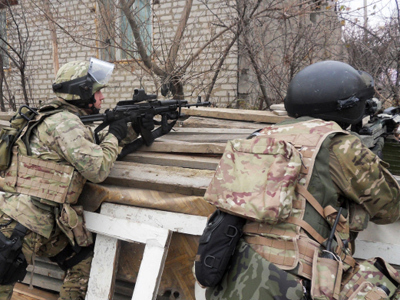 Russia’s southern republic of Dagestan is notorious for its numerous militant attacks both on the police and the civilian population. Russian officials link these attacks to the international terrorist cells such as Al-Qaeda. Two years ago the US acknowledged Russia's top terrorist fugitive Doku Umarov – who claimed responsibility for many attacks in the Caucasus region as being part of a radical jihadist movement – and designated that he poses a threat not only to Russia but to the United States as well. He is now on the US “most wanted” list. Doctor Walid Phares, a counter-terrorism adviser to the US Congress, explained to RT that more information is coming both to Congress and the presidential administration about the connections between those jihadist networks in Russia’s republics of Chechnya and Dagestan on the one hand, and those present in Northern Africa and the Middle East.